Do you remember your first pair of Air Jordans? Dwyane Wade recently told the world how he was hooked on the Jumpman after a stellar performance in the Air Jordan XIII during a high school Christmas invitational tournament, but Seattle-based Macklemore was born a few years earlier. 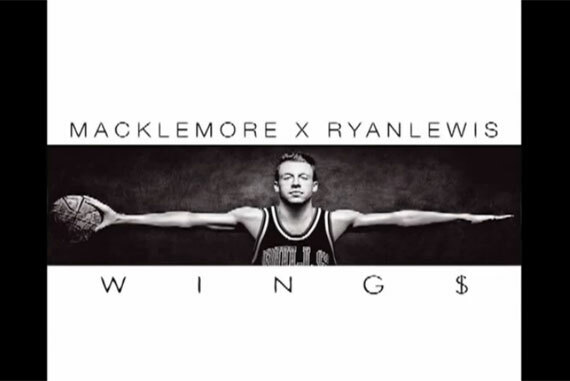 In his latest song ‘Wings’ produced by Ryan Lewis, Mack recalls his first Jays (either the IV or V, judging by the mesh and Air bubble references) and even reproduces the classic wider-than-CinemaScope poster by that same name. Click through to listen to the track in its entirety and let us know how it ranks against the rap world’s best sneaker odes.